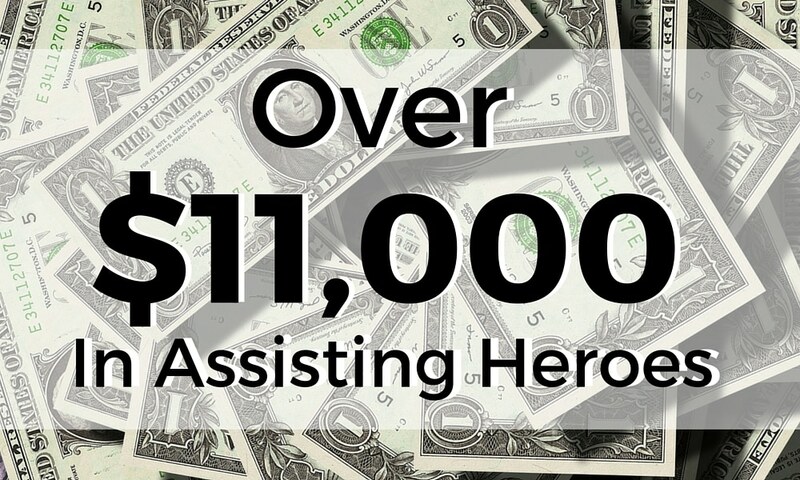 The month of July was a great month for the Homes for Heroes® Foundation and those it serves. After all of the numbers were submitted and added, the foundation was able to provide $11,648.50 in assistance to those in need. Dyllan Bailey of Midlothian, TX, a disabled homeless veteran with family, received $2140.00 for deposit and first month of rent. James Butler of Suwanee, GA, a disabled veteran with wife and child with brain tumor, received $1720.00 for past due rent to avoid eviction. Edward Neal of Phoenix, AZ, a disabled veteran with family, received $1,514.50 for past due rent to avoid eviction. Kyle Shomaker of Hinesville, GA, a disabled veteran with children and ill wife, received $1,444.00 for late rent. Lakesiah Branch of Fredericksburg, VA, a disabled veteran with five children received $1100.00 for first month’s rent. Asher Seal of Spotsylvania, VA, a Vietnam era veteran, received $1100.00 for July rent. Edward Young of Ludowici, GA, a disabled veteran with family, received $1100.00 for August rent. Femmi Clemon of Riverdale, GA, a disabled veteran with a child, received $995.00 for August rent. Erica Tilly of Decatur GA, a disabled veteran, received $950.00 towards deposit and first month of rent. Phil Collins of Wheeling, IL , a veteran, received $600.00 for partial August rent. John Doe of College Park GA, a veteran, received $85.00 for electric bill (HUD VASH program).